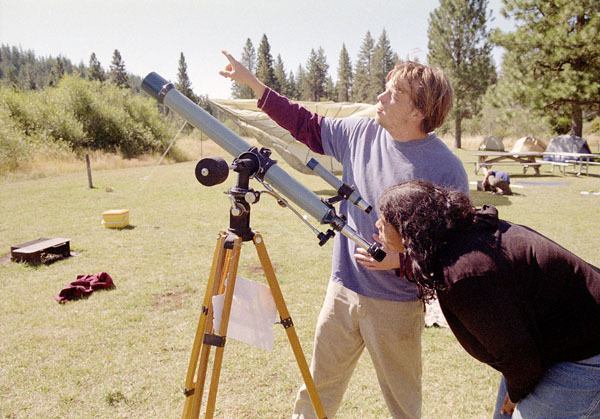 The lecture series went on an overnight trip to the Goldendale Observatory on September 7 and 8. We stayed at the Brooks Memorial State Park. 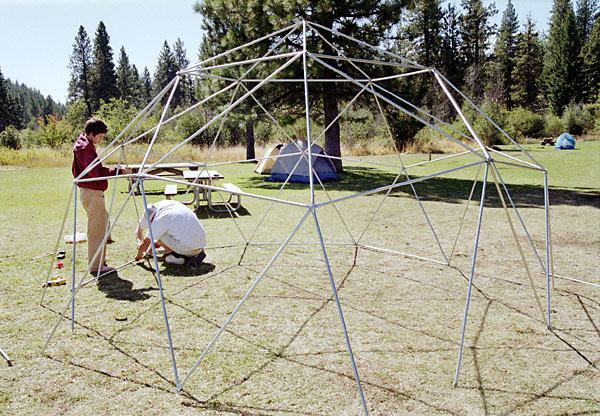 We held a geodesic dome building workshop. The dome used 75 pieces of EMT and had a diameter of almost 20 feet. 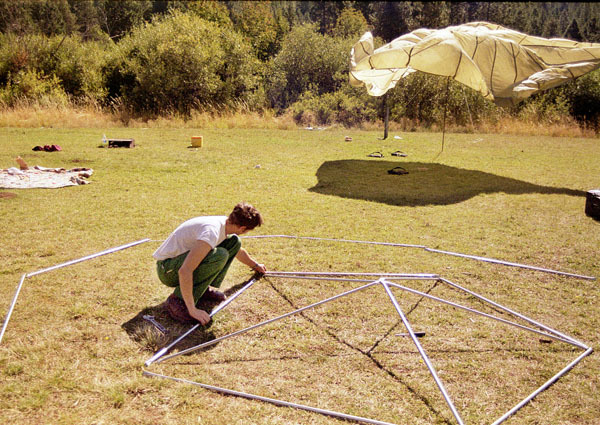 The dome was constructed using hand tools in a few hours. 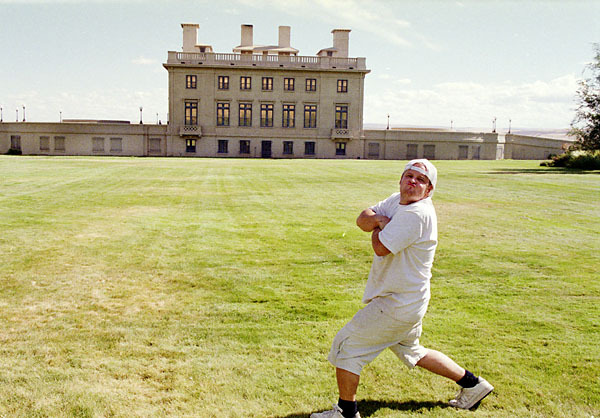 Later it served as the location for "Dome Party 2002" as we enveloped a mini-van, turned on the dome light, and blasted the stereo. We paid a short visit to a full-sized replica of Stonehenge. This strange monument is built of concrete and is the final resting place of 1930's eccentric millionaire Sam Hill. Some folks went to the Maryhill Museum on Saturday to see painter James Lavadour speak. The museum also has a fine collection of chess sets, live peacocks, and Romanian royalty memorabilia. Here's the original announcement that describes the field trip.